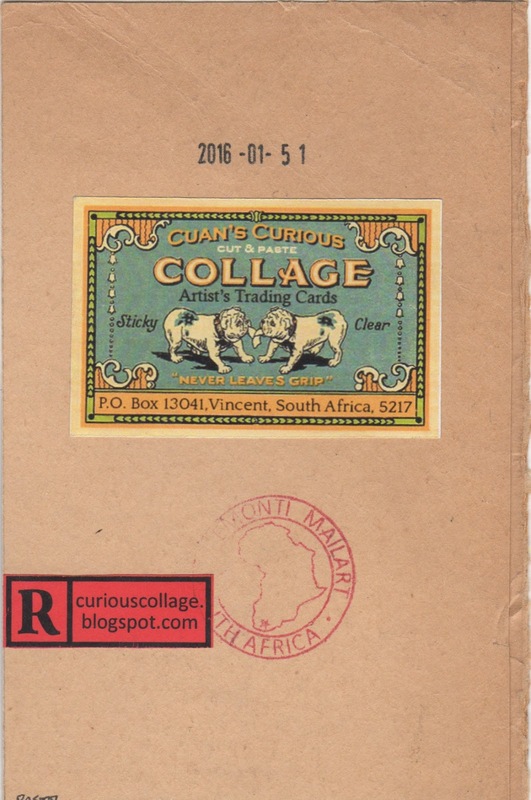 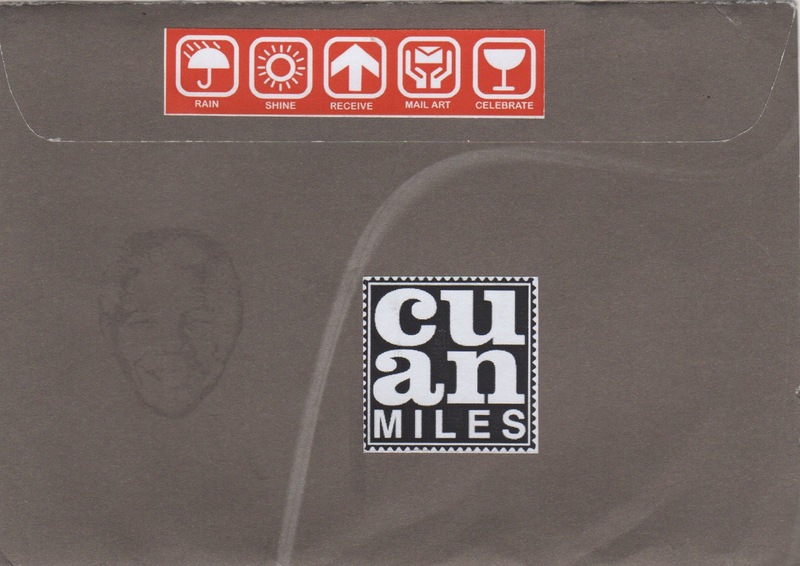 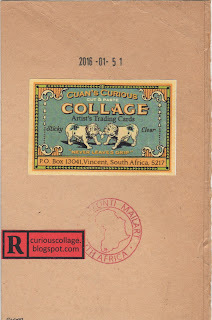 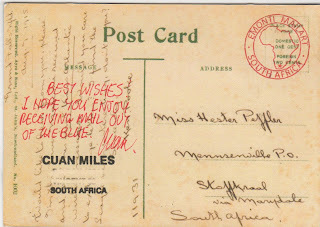 This is my first mailing from Cuan Miles (South Africa) and as he says, it's 'out of the blue'. 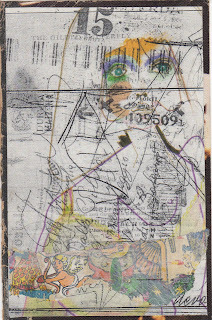 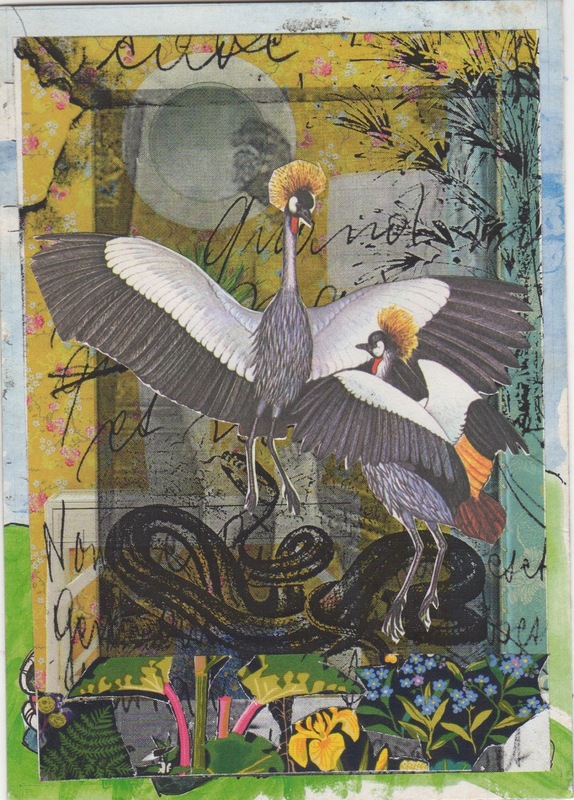 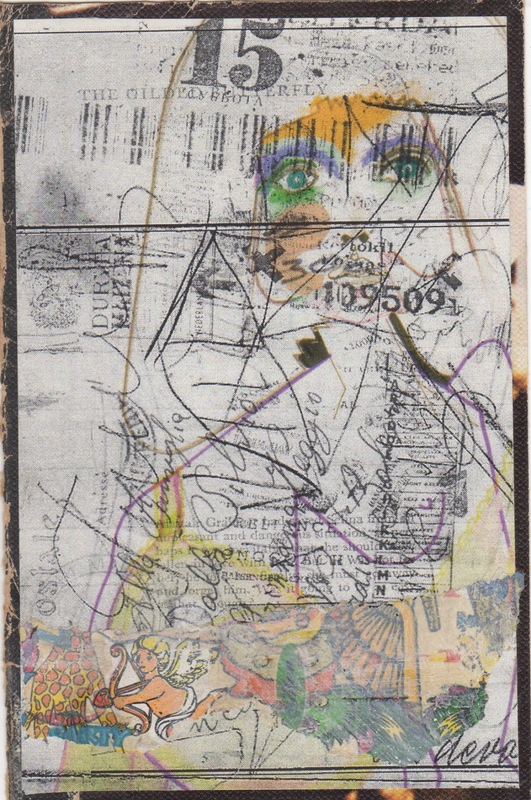 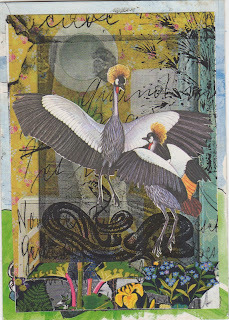 The textures and layers of imagery, handwriting, asemic writing and possibly trash pieces all work together to create mail art that has a timeless density that tells stories and creates meaning!Cuan describes himself as a designer/cartoonist who loves to make collages. Obviously I'm delighted to have received not just one, but two! 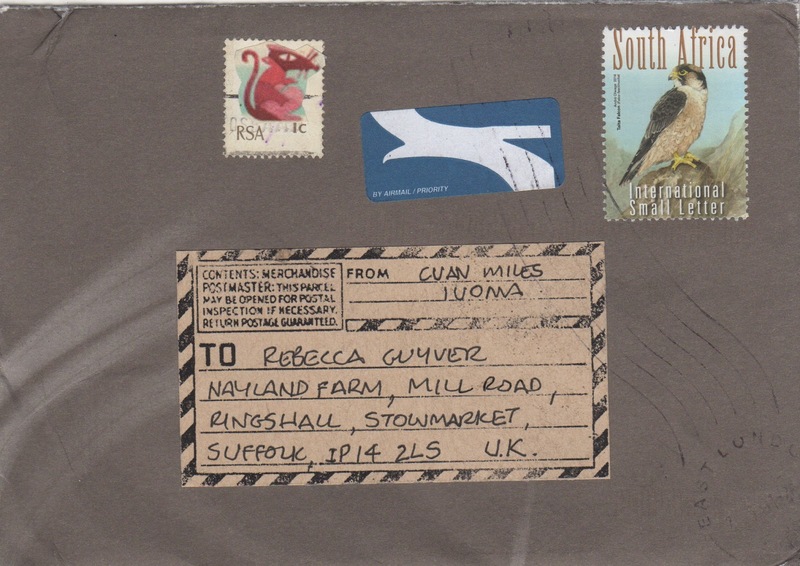 It's possible that there was even more in this mailing as the envelope arrived ripped open on two sides! 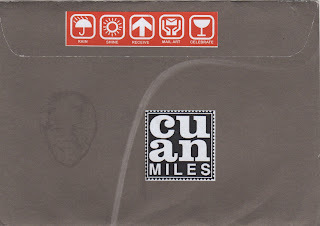 When I send Cuan my reply I will be securing all sides. 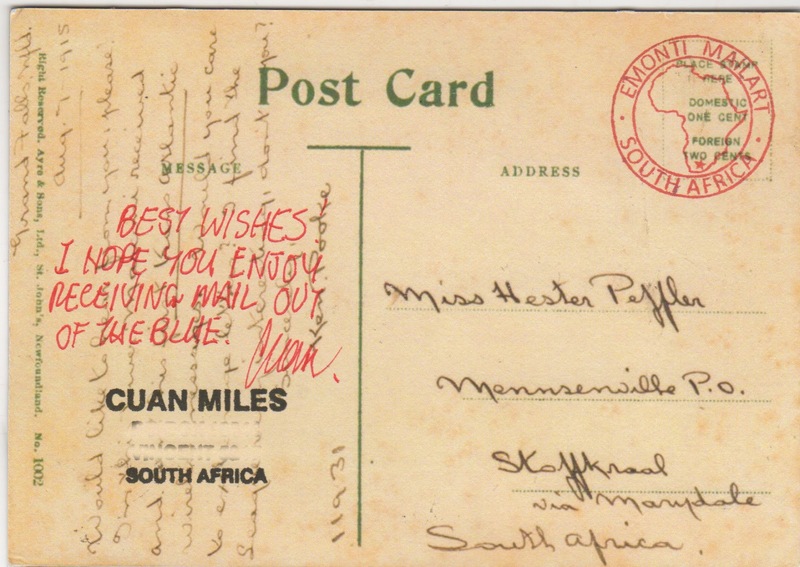 South Africa is a long way away.